Like our Business name says we provide Essential Office Solutions. Which includes Bookkeeping Services Melbourne & Commercial Management Accounting with small business consulting. 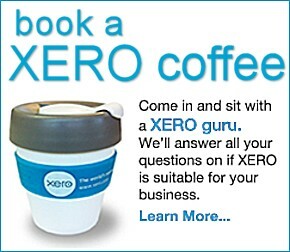 Also we do Xero Training and many other Essential Office services. Although we have a primary office in Mentone for our Accountants and Bookkeepers, we can provide effective Office solutions for your business just about anywhere in Melbourne. So please call us on (03) 9585 2255 we promise we don’t bite!! Finding it hard to keep up with your invoicing, accounts payable and a accurate payroll, as well as all the other paperwork that comes hand-in-hand with running a business? Confused about whether or not you’re meeting your compliance obligations which also includes your GST Liability? We can do a small business health check or a large business health check, in that way you can address potential business disasters before its too late. We are experts in Xero training Services in Melbourne, Mentone or even our Croydon Offices. We also can help you with MYOB and other bookkeeping services and Commercial accounting services, including cloud bookkeeping services and we even help you setup some of these programs. Therefore let us help your business whether you need a small business consulting in Melbourne or whether your are a larger business, ease the stress and use us for your essential office solutions. If you are running a small business, why waste time crunching numbers when you can have it done for you, cost effective office solutions, by a bookkeeping professional? Spend more time doing what you love while we take care of all your admin and bookkeeping requirements. At Essential Office Solutions we can literally help you create time to grow your business. The company was established in 2000 with a single goal in mind – to assist small to medium size businesses take control of their finances and prepare for their future success. The busy team at Essential Office Solutions includes qualified accountants, bookkeepers and administrators. Our varied experience means we have the knowledge and expertise to help you with all your bookkeeping needs, and we love a challenge. Bring in your shoe boxes of receipts, your bank statements, your piles of invoices and other paperwork and we’ll soon have your accounts sorted. Our end-of-year Accountants Pack includes all the essentials your accountant needs to lodge your company tax, neatly presented in a format that’s designed to save him or her time – and save you money. Outsourcing your admin and bookkeeping not only saves you time and money in the long term, it ensures you always have up-to-date financial information at your fingertips. We provide a comprehensive range of outsourced bookkeeping services including cloud-based bookkeeping and your choice of onsite or offsite bookkeeping. We can handle all your bookkeeping and compliance requirements, covering all aspects of bookkeeping services, including. Things that stress you and worries about ATO lodgement dates, BAS due dates 2018 to 2019.
budget & cash flow preparation. We are based in Mentone, but we service all the surrounding Bayside and south eastern suburbs including Dandenong, Frankston, Mordialloc, Brighton, Hampton and Moorabbin. We also have clients in Prahran, Caulfield, South Yarra and the inner city. We offer a complete service package, which means we take care of your accounts while you take care of your business. At Essential Office Solutions, we know that your time is incredibly precious. As a small business ourselves, we understand the importance of incorporating efficiencies into the everyday running of your small business. Let us show you how simple it can be to introduce continuous improvement in quality, processes and productivity into your small business by harnessing the latest technology. At Essential Office Solutions, we’re experts when it comes to helping our clients quickly and efficiently learn to make the most of all the features of their accounting software package. Whether it’s Xero, MYOB, WorkflowMax, Unleashed or Vend, we know how it works and we know how it will save you time.